For most of the women the Women on Wings team met while visiting rural India, a job is more than just a source of income; it is transformational. Women use their income to send their children to school and buy nutritious food. With an income, over are the days that women have to carry the oppressive burden of that one question: how will I be able to feed myself and my children today? Also, an income is empowering, giving women increased self-esteem, pride and more economic independency. Women on Wings’ latest milestone is a total of 253,200 jobs for women in rural India. These jobs are co-created with 36 social enterprises in India over a period of eleven years. Thanks to these over a quarter of a million jobs, 1.26 million people in rural India have improved livelihoods and as an extra result, 760,000 children are in (a better) school (given the fact that rural families have an average of three children). The jobs contribute to lifting families out of poverty in rural India. 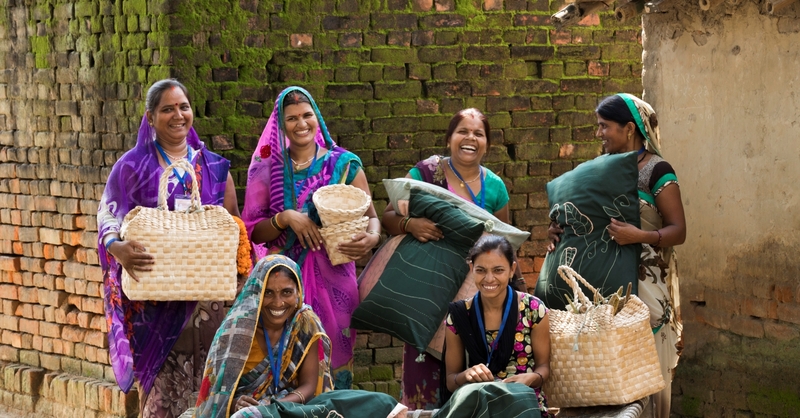 Women on Wings partners with social entrepreneurs in India in co-creating extra jobs for women in rural India, mostly in women centric sectors like Textiles & Handicrafts, Food & Agri, and Non Timber Forest Produce. For some women, a job means a regular source of income thanks to daily embroidery work. For others, it is extra income thanks to collecting oranges or custard apples in a specific harvest season. For Women on Wings, a job is a reliable and stable source of extra income to the family household. The social entrepreneurs Women on Wings is partnering with, make a wonderful difference in the lives of the many women they employ, be it fulltime, part-time or seasonal.